I am a Fellow of the London College of Music – the highest diploma awarded by the London College of Music. RGT exams start at beginner level and progress to professional Diplomas. I perform and teach all styles of guitar playing including rock, jazz, blues, classical, pop, both electric and acoustic. I also teach bass guitar. I have been an RGT (Registry of Guitar Tutors) registered guitar teacher for 20 years. RGT grade exams are regulated by the Office of the Qualifications and Examinations Regulator (Ofqual) and UCAS points are awarded for Grade 6 and above. If you are looking to buy a present for a guitarist, I offer guitar tuition vouchers. I am an international examiner for the London College of Music. 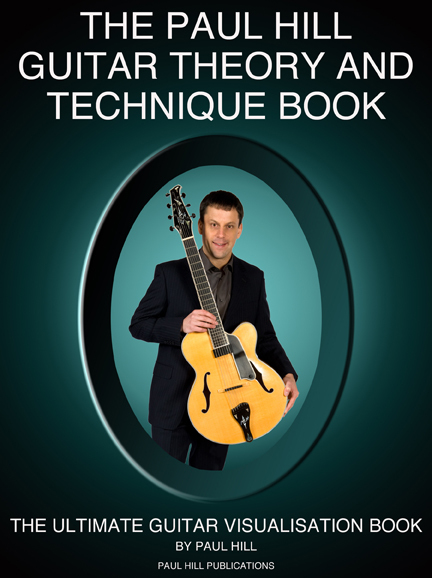 My critically acclaimed book “the Paul Hill Guitar Theory and Technique Book” is available on iTunes. My students range from beginning guitarists to advanced players, many of whom are guitar teachers themselves. Available on iTunes. If you are serious about learning to play the guitar and want to drastically reduce the time it takes to learn all the scales, chords and arpeggios required to play the guitar to a high standard, check out the Paul Hill Guitar Theory and Technique Book. YEARS OF PROFESSIONAL GUITAR TEACHING EXPERIENCE. To read my guitar theory and technique book online from any device, watch supporting videos and gain access to a growing library of tuition videos and material, I have another website to which you can subscribe. Membership is available monthly, three monthly or the super value ‘season pass’ which gives you access to the private member’s area for one whole year. WHAT OTHER SERVICES DO I OFFER? I have many musical projects in which I am involved and am extremely busy performing many different styles of music. 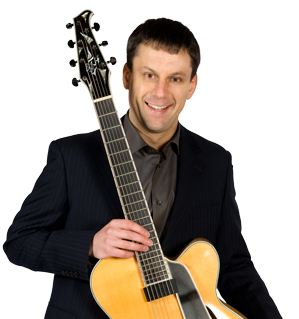 If you are interested in booking me to play at a wedding or any other event, please check out my performance website – norfolkweddingguitarist.co.uk. Over the years, I have played in many shows, worked in studios, given seminars at major educational institutions, taught live on BBC radio, played in countless rock bands, played in theatres up and down the country and played at international Jazz festivals. I am also a proficient sight reader. If you need a dep or require a guitarist for any other playing or recording jobs, feel free to get in touch! I have some great recording equipment in my studio. If you have a music project which requires guitar parts, or help with recording in general, please get in touch!